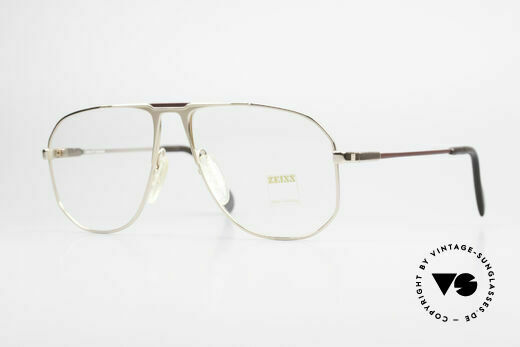 In the optician industry of the 80s, “Zeiss West Germany” enhanced the “Made in W.Germany” seal of approval. The old Zeiss sunglasses - especially the Zeiss sunglass lenses - are of such outstanding quality that even other eyewear manufacturers wanted to cooperate with Zeiss to have their own collections glazed. 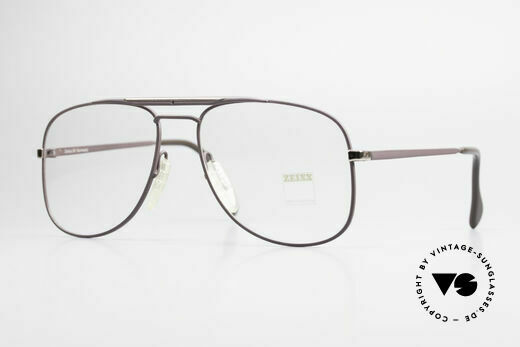 Zeiss Umbral mineral eyewear is extremely scratch-resistant and partially anti-reflective. And, when exposed to sunlight, the Umbramatic lenses from Zeiss even darken automatically. As the traditional German company concentrated on solid workmanship, design and marketing were always subordinate to quality and functionality. Therefore, it is not surprising that Zeiss glasses and sunglasses remained an optician product. The brand was, however, lacking celebrity endorsement to make the collection well known outside of specialist shops. But then Zeiss men's sunglasses appeared in a movie classic and became the most sought-after eyewear by Zeiss. Michael J. Fox (aka Marty McFly) wore black Zeiss sunglasses with silver mirrored lenses in the 1985 movie ‘Back to the Future’. 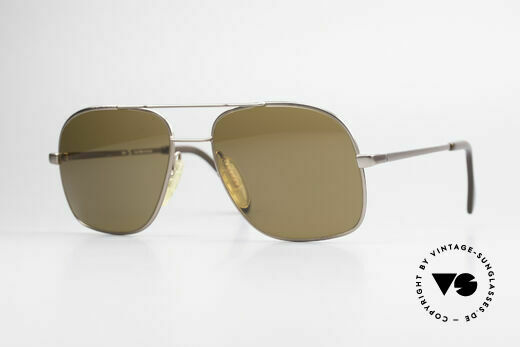 Although the back of the vintage sunglasses (with the model’s name) can even be seen in the movie, it is not clear whether it is the Zeiss 9337 or the Zeiss 9236 model, as both models look alike. 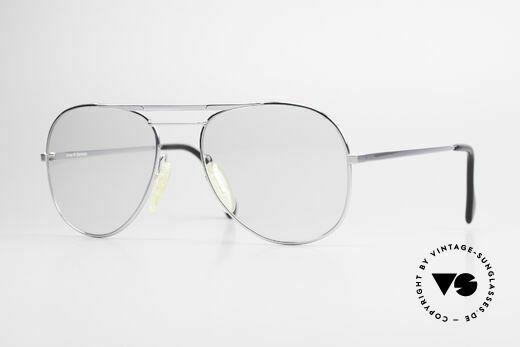 In their original condition, both models - the Zeiss 9337 sunglasses as well as the Zeiss 9236 glasses - are imprinted with “Zeiss West Germany” on the left lens. Since then, fans of retro and vintage have long recognized the value of Zeiss eyewear. Together with the discreet retro look, the unsurpassed quality makes these originals highly sought after. Zeiss is still one of the most renowned companies in optics, but specializes in lens technology and precision optical devices. Zeiss glasses are the pick of the bunch with regard to quality optics. Whoever has once worn Zeiss sunglasses will easily admit that comparable quality is hard to find. monolithic design .. built to last .. You must feel this! NO RETRO shades, but a genuine 35 years old original! NO RETRO frame, but a genuine 35 years old Original! monolithic design (built to last) You must feel this! top-notch 80's craftsmanship - You must feel this! NO RETRO frame, but a rare old original from 1982! NO RETRO sunglasses, but a rare old XXL ORIGINAL! NO RETRO sunglasses, but an old 80's ORIGINAL! these lenses are at the top of the eyewear sector! unworn collector's item and a piece of cinema history! NO RETRO shades, but a rare old 80's Original! 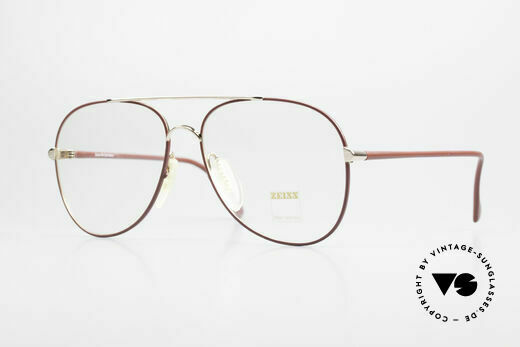 truly 'OLD SCHOOL' or 'VINTAGE'; pure eyewear history! NO RETRO reproduction, but an old original from 1981! NO RETRO fashion, but a 30 years old ZEISS original! NO retro shades, but an app. 25 years old ORIGINAL! with brilliant sun lenses in a kind of "salmon orange"
NO RETRO sunglasses, but a true 30 years old rarity!